During Wintersession 2015, eight Wellesley College faculty members joined two LTS staff for an experimental, intensive two-day faculty development workshop focused on research and instructional technology. LTS staff asked faculty to share learning goals ahead of time and to actively participate in planning and facilitating the workshop. With that input, LTS staff developed activities designed to integrate with faculty goals. 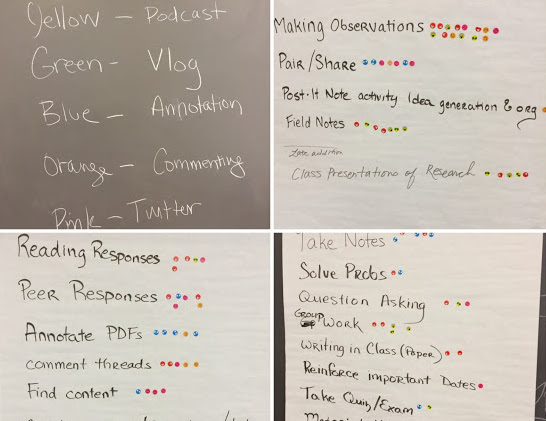 Throughout the workshop, LTS staff made transparent process and pedagogy choices, modeling assignment and course planning practices for faculty and continually inviting them to actively participate and experiment. Faculty left their two-day experience with more than just an increased knowledge of technology; they left inspired.